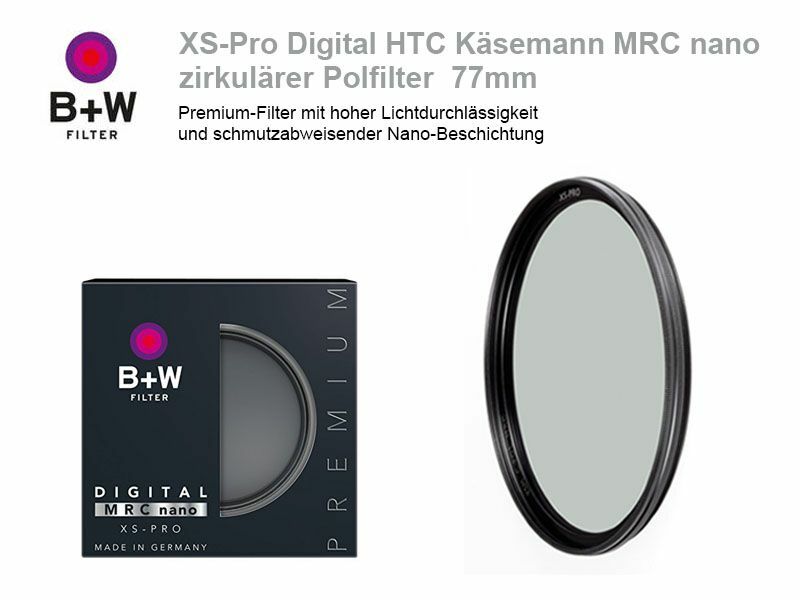 High-class polariser built to the design of Erwin Käsemann, in which the polarisation film is gummed between two glass layers. Like this the construction is protected against dust and humidity, which can permeate conventional filter and affect the image quality. Furthermore the B+W XS-Pro Digital HTC MRC nano has an improved light transmission, so it blocks only 1 – 1.5 stops, instead of 2 – 2.3 stops like other polariser. Despite its slim construction, which makes it compatible even with wide angle lenses from 18mm / full format (12mm APS-C) , the filter has a front thread. It is build of solid brass, matt black chromed. Next to the MRC coating on both sides, it is equipped with a dust and water repellant nano coating. This Product was added to our catalogue on Friday 09 October, 2015.